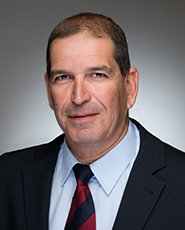 Mr. Ofer Lifshitz has been serving as President of ICL´s Phosphate Solutions Division since August 2018. Mr. Lifshitz joined ICL in 1996 and served in various senior leadership positions including Executive Vice President of ICL Industrial Products, Senior Vice President of Global Processes and as the company’s Integration Manager, Executive Vice President for Special Projects, and until recently, President of ICL Essential Minerals Division. Mr. Lifshitz holds a Bachelor’s degree in Economics and a Master’s degree in Industrial Management, both from Ben Gurion University.